Even though it was a challenging day (because the students are hyper), I had fun. 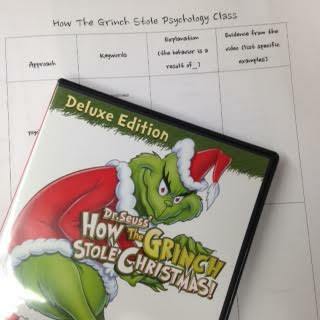 We analyzed the Grinch's personality after watching the video. I introduced it by telling them the film is a documentary about an unusual character. I would have loved to be a fly on the wall for that conversation.